Merna Mora is a 130,000 hectare working station in the western Wilpena Pound area of the Flinders Ranges, about 450km from Adelaide. 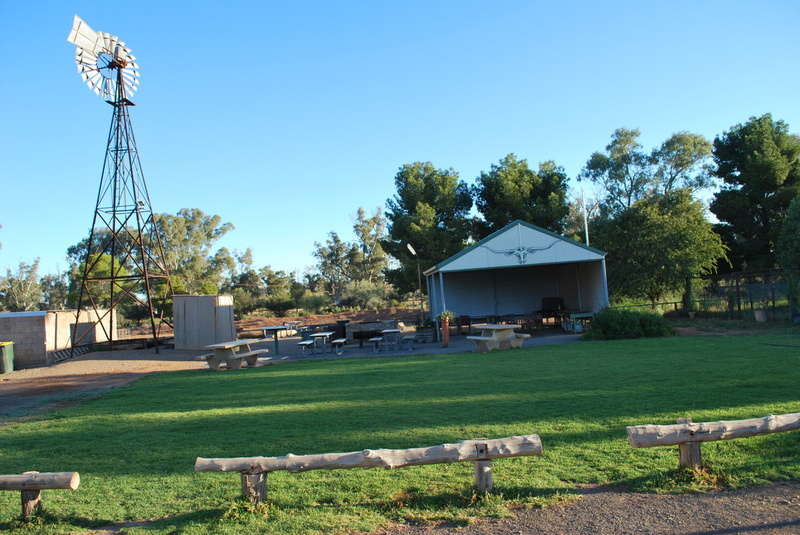 Drive time is about 5 comfortable hours and there are two basic routes from Adelaide, straight up Port Wakefield Road and turning off to Quorn before hitting Port Augusta; or the more scenic route through the Clare Valley and the RM Williams Way. We went up one way and back the other and allowing for various lengths of stops for photos etc. there didn’t seem to be much difference in travel time. The property is halfway between Hawker and Parachilna, so watch out for the sign pointing left - the entrance is well signposted. Through the aptly named ‘Pearly Gate’ and you’re there. Merna Mora has been in the Fels’ families hands for generations and hosts Kaye and Donald Fels make visitors feel welcome straight away. Nothing is too much trouble but once Kaye is satisfied there’s nothing else you need, they leave you alone but are available if you have any questions or want to tap in to their extensive local knowledge. Less than half an hour north of Hawker (and the same distance from the famous Prairie Hotel at Parachilna), Merna Mora is a perfect access spot for the southern Flinders Ranges. It’s set within the Moralana Gorge with views of Wilpena Pound and the Elder Range, and the property extends out to the fringe of Lake Torrens. Scenic drives including the Parachilna Gorge, Brachina Gorge, Bunyeroo Gorge and Wilpena Pound itself are just minutes away and easily accessible. 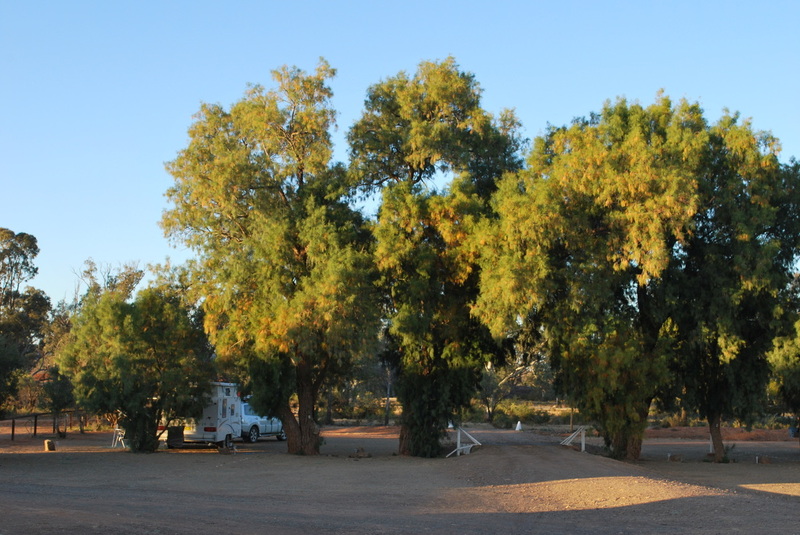 Merna Mora has a range of accommodation, ranging from unpowered campsites, powered sites, nine fully self contained units sleeping 2-6 people, and 10 bedrooms with shared facilities. We stayed in a self-contained unit for 6, but it could have slept 7. Apart from the bedrooms there was a sitting/eating/kitchen area and a bathroom with shower and toilet. The kitchen was very well equipped with everything we needed, including full-size stove and microwave and full-size fridge. All the utensils, cutlery, crockery and glassware were also there, along with a toaster and electric kettle. And as it was AFL finals time when we visited, the presence of a TV in the room (with plenty of channels) was an unexpected bonus. Very importantly - everything was CLEAN!! People who were using the powered sites (seen in the picture below) told us they were very happy with the set-up too, and the shared amenities block was also a good size and spotless. There are facilities for the disabled too. Use of the communal kitchen is included, this is also fully equipped and seats up to 50 people. This property really shines with its range of facilities. Right outside our door was a large, green lawn play area which was heaven to the 6-year-old in our group after the drive up from Adelaide. Like everything else at Merna Mora, it was very well maintained but was by no means the only attraction. 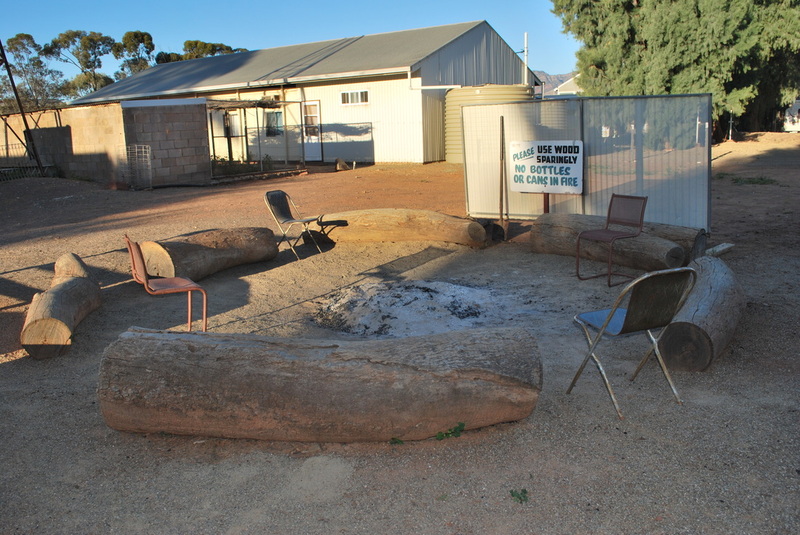 Merna Mora has three undercover gas BBQs with tables and seating, and just outside are two fire pits, each surrounded by huge logs which serve as seats. A sign asks that firewood (supplied) is used sparingly, and even doing so we enjoyed a couple of very pleasant night campfires talking with fellow travellers from all parts of Australia (and Japan and England). There’s also a laundry, a cupboard full of sports/games equipment, even a lending library of books and magazines. In the units, towels and bedding are available at a nominal cost but it’s made very clear that the station does not provide any food or drinks, so if you run out of something, it’s a 46km trip to Hawker. The big shed (pictured below) is the BBQ area, with three gas barbies and communal tables. The camp kitchen is in the amenities block, so very much all-weather and equipped with conventional stove, fridge, tables and chairs etc. OK, Merna Mora don’t actually provide this themselves, but the sunrises, sunsets and stars on a clear night cannot be bettered! Clambering up a very short distance beside the shearing shed at sunrise and sunset provides a photographer’s delight as light plays on the Wilpena Pound escarpment. And even though it’s a bush cliché, there’s no better place to see a million stars and play ‘spot the comet’ than in the Australian outback. What Kaye and Donald do provide are unique 4WD tracks on their own property and abundant knowledge about other tracks and trips suited to any vehicle and any level of driving enthusiasm. They know the tracks and the type of vehicle and set-up required to complete them safely and in a given recommended time - all very important components to ensure you’re back at the campsite safe and sound before dark. A communal campfire is a great way to get to know fellow travellers! I’d be back in a heartbeat. It’s in an ideal location, with a broad range of accommodation options and all the facilities I could think of - so long as you don’t forget any food or drink requirements. It was clean and comfortable, well-priced, and the Fels’ were more than happy to share their obvious love of the property and knowledge of the Ranges for visitors’ benefit. Merna Mora was kindly reviewed for Go Camping Australia by guest writer, Stephen Marlow. Thank you very much for sharing your experiences and thoughts on this location.